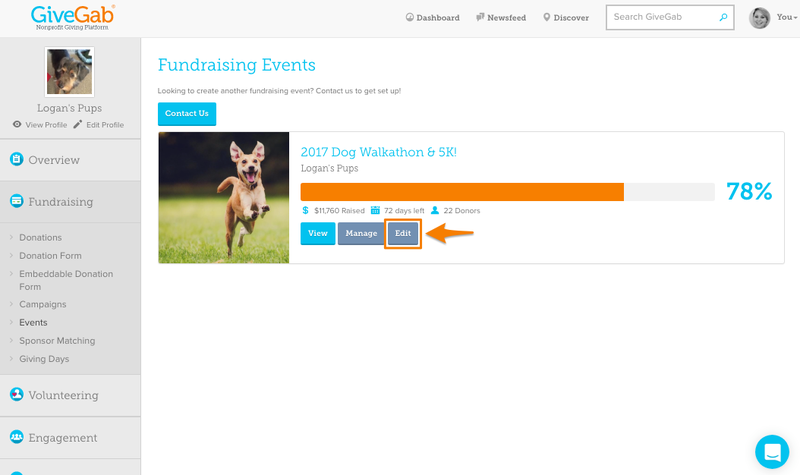 Absolutely 😄 Highlighting sponsors on your fundraising event page helps to recognize your sponsors and help drive traffic to their own website. Here's how you can do it with your event! 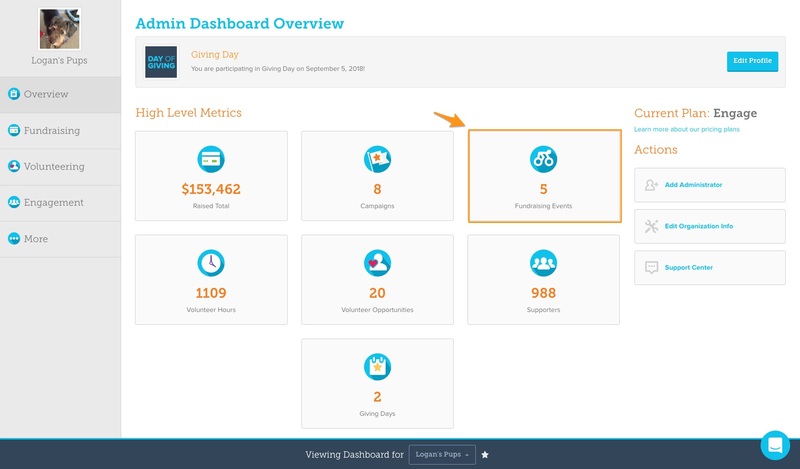 Click the “You” in the top right corner and click the “Admin Dashboard” link for your organization. If you are an admin of more than one organization make sure you select the one with the admins you wish to review. Along the lefthand side, click on "Tell Your Story". This will allow us to add photos to your story section to highlight your sponsors! You can add headers, a logo, and link the logo to the sponsor's website. To display different levels of sponsors (such as Platinum, Gold, Silver, Bronze, or Presenting, Media, Partnering), you will want to designate each line with a different header. 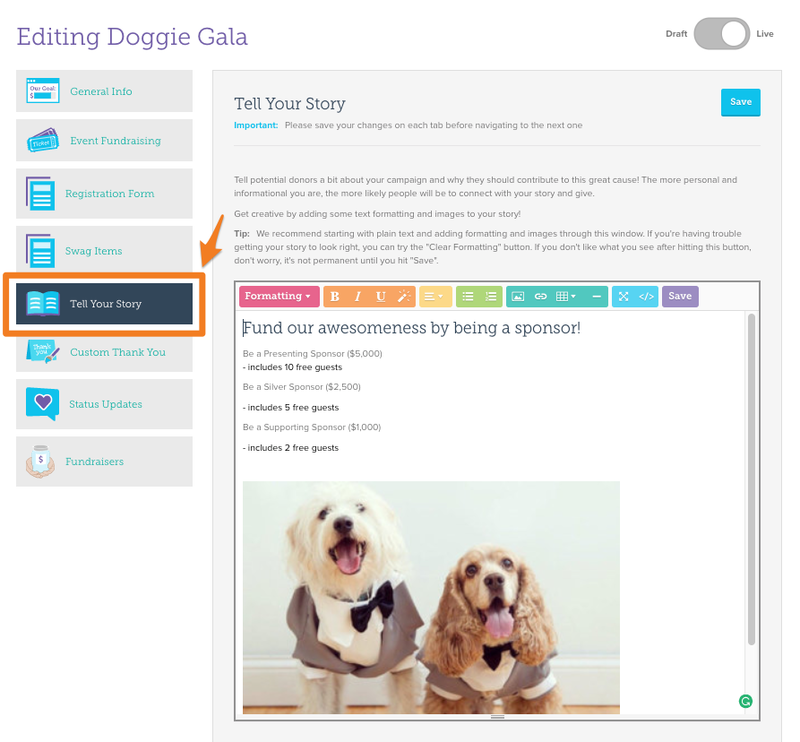 Highlight the sponsor type, then click the pink "˜Formatting" button. Choose one of the header options (Like H1, H2, or H4). These will make your sponsor type stand out! If you want to center the sponsor type like in the example below, click on the yellow "Paragraphs" button and choose the middle option. Once you've added the sponsor type, hit the "Enter" key on your keyboard to start a new line. Make sure your cursor is placed at the end of the sponsor type to create a new line below sponsor type. Click the teal "Picture Frame" button (it looks like a picture frame, and is the first icon in the teal row). Choose the image you want to add (usually the sponsor's logo) and then click "Insert Image". Once you've added the sponsor logo, click on the "Sponsor Logo" to highlight it. A menu should appear directly below the sponsor image. Click the dark blue "Link" button (it will say "Edit" when you hover over it). This is the third button from the right in the menu that appears directly below the sponsor image. Type the URL of the sponsor into the box that says "To what URL should this link go?". Check off the "Open in new window" so anyone who clicks on the link is not directed away from your event. Watch the whole process together!